Our vast knowledge and experience with the latest techniques in design, developement and Search Engine Optimization put us at the top of page! Let us help you reach the best search engine position you can get. Our graphic designers are second to none. We design anything -- brochures, postcards, websites, flyers, t-shirts, and even surfboards! Check out more information on our Graphic Design Department. Got an Idea? We can help turn your idea into a reality with our custom software development. Custom development can sometimes get difficult. People who are experienced may not actually be as experienced as they need to be for some large projects. Our professionals are expert programmers who love to be challenged. Our development team can tackle any project, large or small. Read more about our custom solutions..
Ecommerce Software choices can be overwhelming for anyone who has never had an online store before. Online Retail is expected to continue booming over the next decade and if you don't have your products online yet, you'd better act on it soon. 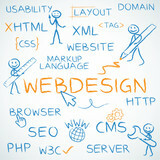 Jupiter SEO can help you with almost any shopping cart software. Give us a call to find out what we can do to help you succeed online. Social Media is a major marketing tool and if your business doesn't have it, then you should consider using it. Posting to things like twitter and facebook can sometimes seem like a chore, so let us handle your social media accounts so that we can optimize them for maximum exposure. 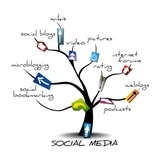 Find out more about our Social Media management services. Has someone posted malicious comments trashing your business? Has your competition made attempts to drive traffic away from your site? These days, one bad comment about your business that is found on page 1 for a major keyword, can actually drive a business into the ground. Don't let this happen to you. Let us handle salvaging you and your business' reputation.